Purchasing an engagement ring is one of the most important decisions you will make in your lifetime. When looking for engagement rings, you want the best possible quality, but that normally means you need a massive budget. This is where Kush Diamonds stand out from the crowd. Here at Kush Diamonds, we pride ourselves on being a diamond wholesaler. This means that we offer luxurious diamond engagement rings at affordable prices, meaning you don’t need a massive budget to purchase stunning high-quality jewellery. For over 40 years, we have been providing exquisite diamonds at wholesale prices along with our personalised customer service. Our expert and knowledgeable staff will not only answer all your questions but also educate you during every step of the process. This ensures that not only are you comfortable but also understand all the technical terminology. Our private showroom contains only the highest quality GIA certified diamonds which are graded according to measurement, carat, colour, cut, fluorescence, inclusions and clarity. 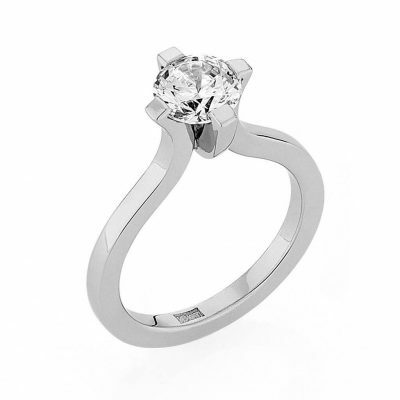 We also create custom-made engagement rings which allow you to fully design a ring to your exact specifications. You are able to choose the ring design, the cut of the diamond, which metals to be used and much more. Our expert staff will take all the stress out of looking for an engagement ring, leaving you only to relax and enjoy this incredibly special moment in your life. All our jewellery is carefully handcrafted resulting in stunning exquisite engagement rings to choose from that your partner will fall in love with. When looking for engagement rings for your loved one, choose the right jeweller. Choose Kush Diamonds. You can visit our website for much more information and book a complimentary obligation free consultation today. At Kush Diamonds, choosing an engagement ring has never been easier, so contact us today on (03) 9602 3337.